We’d like to note that Facebook no longer provides RSS feeds by default, so we’ve had to find other third-party services to generate RSS feeds for Facebook pages. For this reason, they do not perform at the level of source-generated RSS feeds. Hence, there are some issues one must take note of. 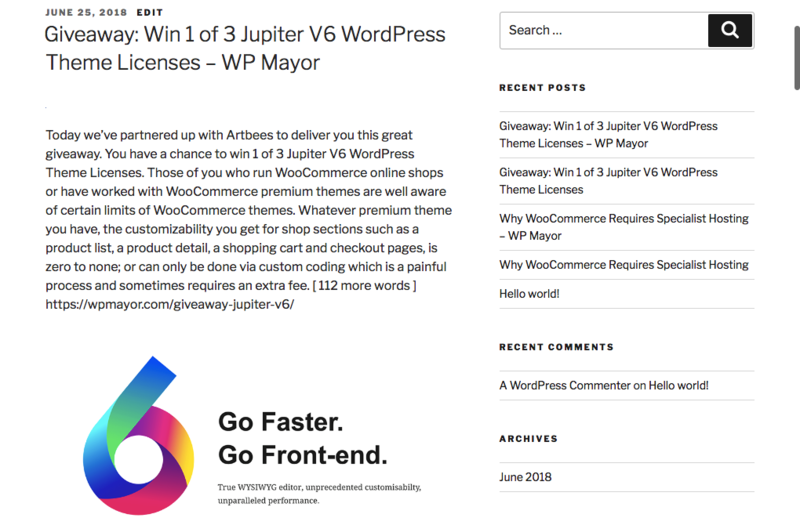 Facebook posts’ images cannot be set as the WordPress post’s featured image. The featured image cannot be imported by the Excerpts & Thumbnails add-on. The Feed to Post add-on can import them and include the Facebook post images in the post content. IMPORTANT: First test your RSS feeds on our demo sites to ensure that they perform to your standard. That being said, WP RSS Aggregator will be able to import RSS feeds available for Facebook by following the steps below. The first step is creating the RSS Feed. You can use this site to create the RSS feed: http://fetchrss.com/facebook. There are a few other services available online too. This site allows you to create RSS feeds for Facebook. Please note that it requires registration and the free version is limited to 5 feed items that update every 24 hours. There are some other criteria for the free version, while there are two premium versions you can upgrade to. As stated on their website, this source cannot generate RSS from Facebook’s user profiles. That being said, any public groups, companies, restaurants, shop or other public pages are allowed. This is a source limitation, not a limitation of WP RSS Aggregator. After creating a feed from http://fetchrss.com/ with the URL of the specified Facebook page, open the XML feed from the link provided. Once you click on this link you’ll be taken to the XML feed, as shown below. From here, copy the URL. After creating a feed from http://fetchrss.com/ with the URL of the specified Facebook page open the XML feed from the link provided. Upon publishing the feed source, the posts will start to get imported as feed items, which you can display using this shortcode: [wp-rss-aggregator]. The shortcode has parameters available here .